For over 25 years, the CCCCNC has provided the community with services that increase the availability and quality of early care and learning across our North County region. Quality child care experiences support children’s development, as well as a successful workforce in the community. As a Child Care Resource and Referral agency, our programs support parents and child care providers in a variety of ways. Looking for child care? We are a great place to start! Our Referral Coordinator can provide a free list of child care providers that most closely match your needs based on location, the kind of care you are looking for, the ages of your children, and other specifics. If you are a child care provider, or are thinking about becoming a child care provider, we can be an important resource for you, too. In addition to professional development and training opportunities, members of the child care community may access technical assistance and coaching for their day-to-day operations, as well as start-up funding. 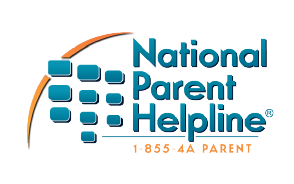 Further help for parents and child care providers of infants and toddlers is available through the regional infant/toddler technical assistance center. Our staff is dedicated to supporting the hard work and dedication of the many individuals - both in families and the child care communities - who are raising, caring for and educating our youngest citizens. CCCCNC recognizes that child care provider confidence and competence are directly related to quality early childhood supports, based in developmentally appropriate practices and field research. We educate and promote the intentional development of a qualified workforce of early childhood providers through recruitment, training opportunities, technical assistance, credentialing and coaching. We strive to target the unique professional development needs and interests of members of the early childhood education community, to help child care providers become not only more purposeful and intentional in their programs, but more joyous in their teaching! At CCCCNC we champion the hard work of these individuals, and create dynamic learning opportunities to foster their professional growth.